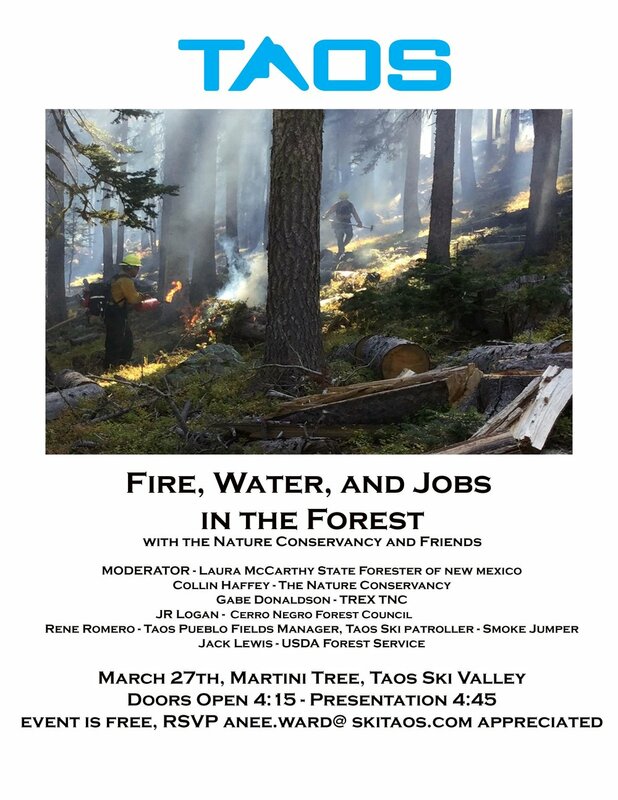 Moderated by Laura McCarthy - State Forester of New Mexico - there will be a dialogue with several organizations that manage fire, protect water and create jobs in the forest. This diverse panel will provide a variety of perspectives on Forestry Health, a subject that is critical to our future. This event is free, but space is limited, so your RSVP at anee.ward@skitaos.com is appreciated.